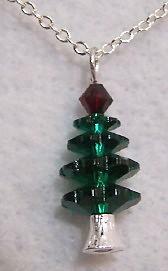 This cute tree shaped pendant is about 3/4" long. 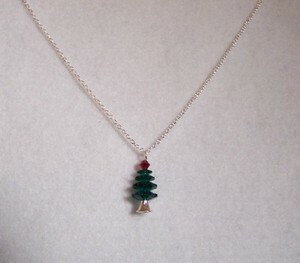 It's very petite with a red top and silver base. It is made with Swarovski elements. It is on a silvertone chain that is 17" long with a 3" extender.